Dimensions: 0.4" X 5.5" X 8.5"
The story, the message, and the meaning. 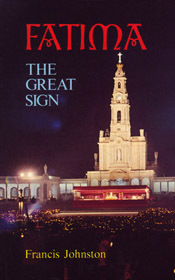 Penetrates deeply into the theology of Fatima: the Rosary, daily duty, Eucharistic reparation, consecration and reparation to the Immaculate Heart of Mary, Hell and the prophecies, etc. Spells out the repeated papal pronouncements on the crucial relevance of Fatima to the entire world. As Pope Pius XII said, "The time for doubting Fatima is past; it is now time for action." One of our most popular titles. Eye-opening!